Lawn edges abutting beds, borders and hard standings will be re-defined once per year, usually in March. GRITIT's lawn edging service is a constructed border to define your lawn, flower borders or pathways - an incredibly effective way of keeping different sections of your garden separated for easy maintenance but also to make it look really neat and tidy. Lawn edging is a really effective way of adding that finishing touch to a landscaping project, and sometimes it's not until you see how good a garden looks with edging, that you realize what an impact it has. 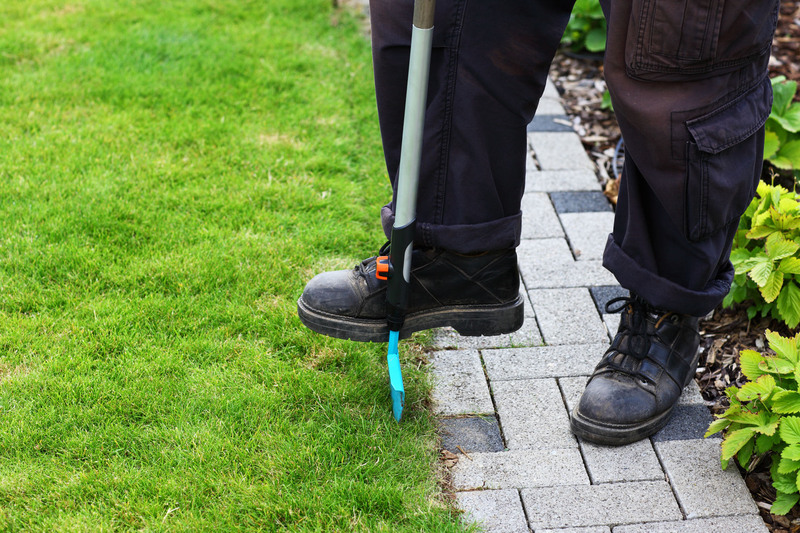 So if you grounds need that something extra to round it off, then lawn edging could be the answer.